Under the moon, true love blooms. Celebrate the 25th anniversary of Tim Burton's The Nightmare Before Christmas! 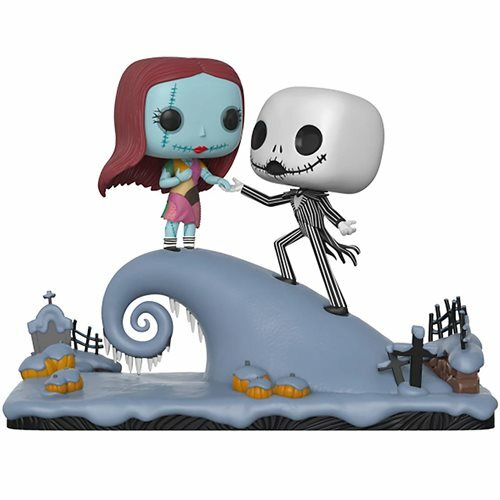 Look no further than this stylized "Movie Moment" for the movie's most iconic image - Jack and Sally standing on the hill. It measures approximately 8 1/2-inches x 4 1/2-inches x 7 1/2-inches. Ages 3 and up.